TAMAR Saracens will look to end their most successful season in their history with yet another trophy on Saturday when they take on South Molton away in the Devon Junior Plate final. Saracens have already won the Devon One title, Pedrick Cup and South West Junior Vase. “This could be our fourth honour of the season,” said Saracens coach Stuart Busfield. “Although we are taking it seriously and we do want to the season on a high, on the flip side we are already looking towards next year. “I am already thinking about which guys could be pushing for a spot in the first team next season. “We will be going with a club XV to South Molton and it will include a number of young guns who have come in part way through the season and done a good job. We want to give them a run for their money so they can show what they can do. “I think nine of our starting 15 are going to be under-20. Unfortunately Busfield, like a number of the Plymouth rugby community, will be at Twickenham on Saturday to watch the Army-Navy game. “Our record has not been great when I’ve not been there, but I’m hoping the guys can get a result this weekend, ” said Busfield. Meanwhile, Ivybridge, Saltash, Tavistock and Plymstock all bring their league campaigns to a close this weekend. Tavistock, though, are the only ones playing for anything other than pride. They head to bottom side Newquay Hornets knowing they need just a point to stay in the Cornwall/Devon League. Their stunning victory over Falmouth last weekend, coupled with Hayle’s shock defeat at Newquay, means their destiny is in their own hands. 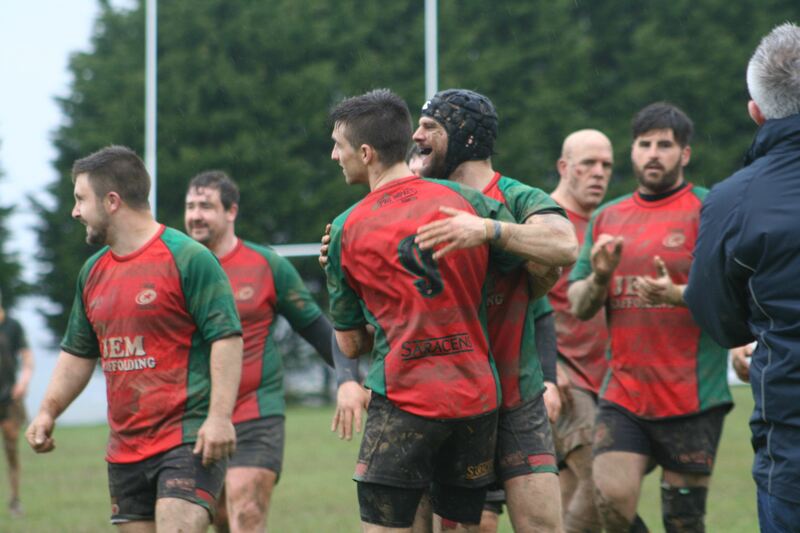 In the same division, fourth-placed Plymstock Albion Oaks travelled to eighth-placed Paignton. Saltash are already relegated in Western Counties West but they could deny Okehampton the league title. Gareth Evans’ Okes side head to Moorlands Lane needing to win to overtake Kingsbridge and seal the crown. Ivybridge will be hoping to end their first season in National Three South West with a fifth consecutive win when they host Dings Crusaders at Cross-in-Hand. Ivybridge, who have five players feature for Devon in mid-week, are guaranteed to finish eighth in the table. The big game in that division is at Rackerhayes, where Newton Abbot entertain Old Centralians in a relegation showdown. Newton Abbot go into that final match sitting in the final relegation spot three points behind Old Centralians. They will stay up if they win the game and deny their visitors a bonus point.